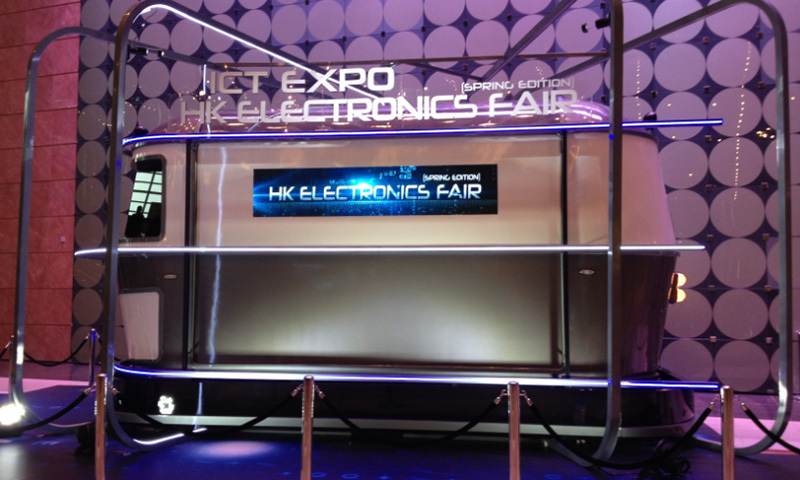 Hong Kong Electronics Fairis organized by the Hong Kong Trade Development Council (HKTDC), which isAsias largest spring electronics show, and this Show is held in conjunctionwith the International ICT Expo Preview. 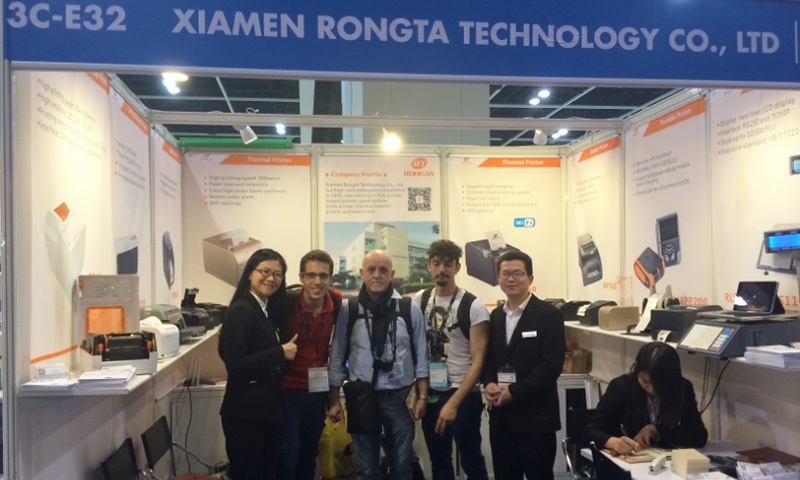 2016 Hongkong Electronics Fair (SpringEdition)attracted participants from 24 countries and regions. 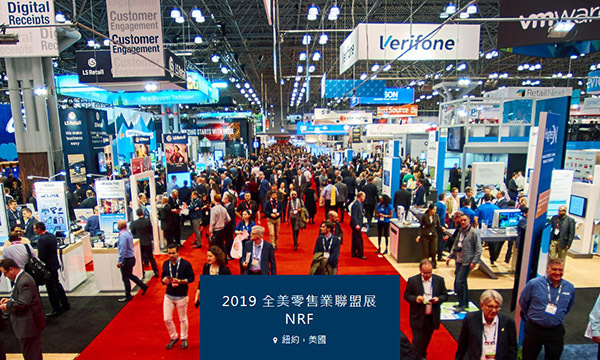 More than 3,300exhibiting companies show a variety of the latest electronic products,innovative technologies and IT solutions. 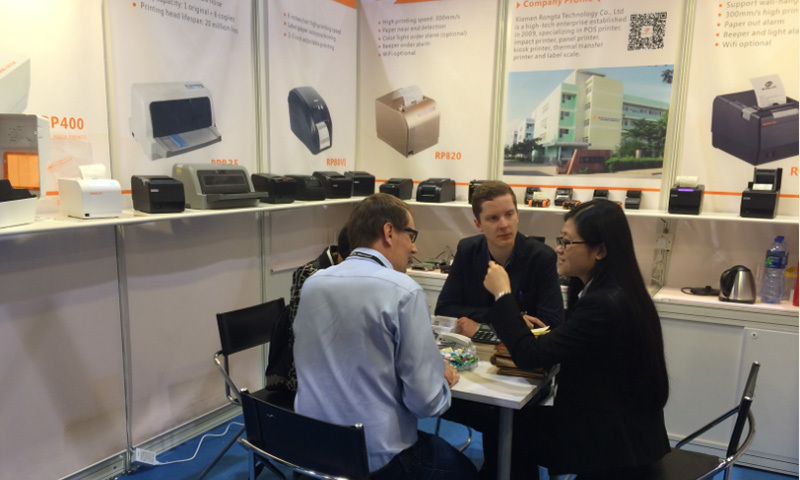 HKTDC organized 150 buying missionsto arrange more than 9,500 companies from nearly 6,000 international buyers tovisit the exhibition, including the major importers and distributors in theglobal market, such as the SEARS and BESTBUY from U.S.A, Carrefour from France,SIEMENS from Germany, Panasonic and Casio from Japan, Osiris from Canada, andEltraAudiox from Poland. 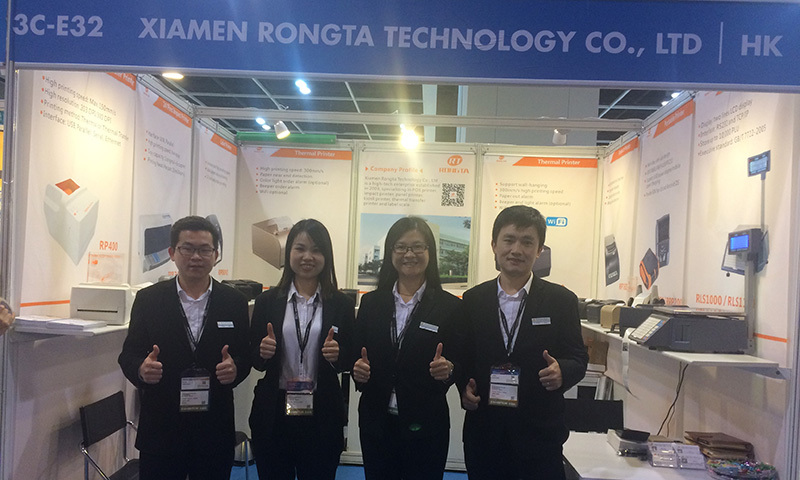 All these invitation is aim at creating more businessopportunities for exhibitors.The sponsor also set up a smaller purchase area of"hktcd.com" with a collection of more than 300 counters and over3,000 products. 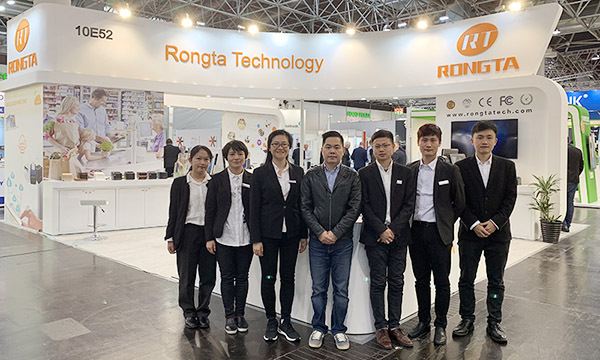 XiamenRongta Technology Co.Ltd attended to this exhibition and presented all theproducts on this exhibition.Many important international buyers were attractedby our unique appearance design and stable performance products . 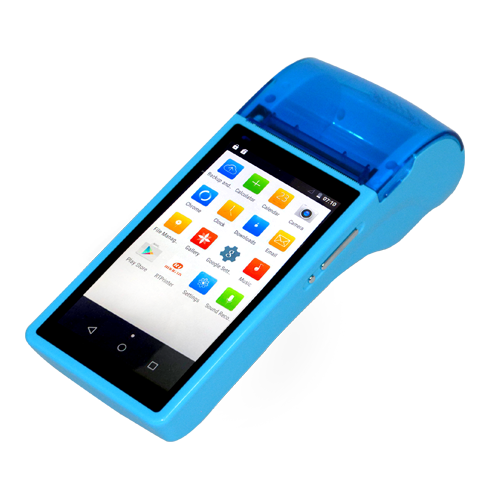 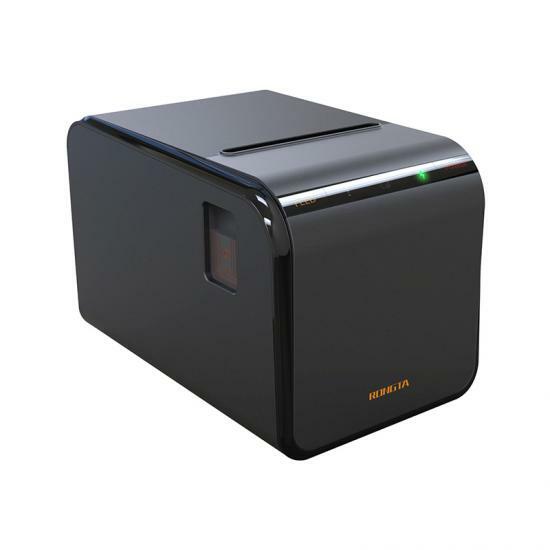 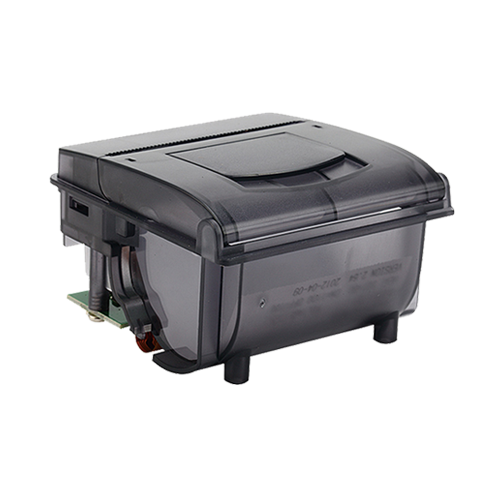 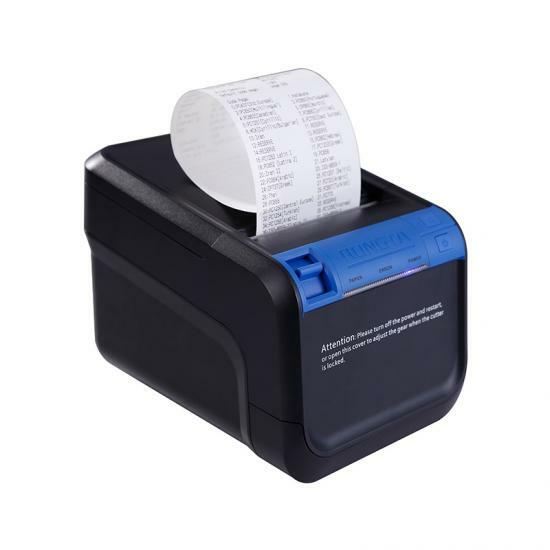 Our portablereceipt printers RPP300, RPP200 and RPP02N were well favored by most of thecustomers. 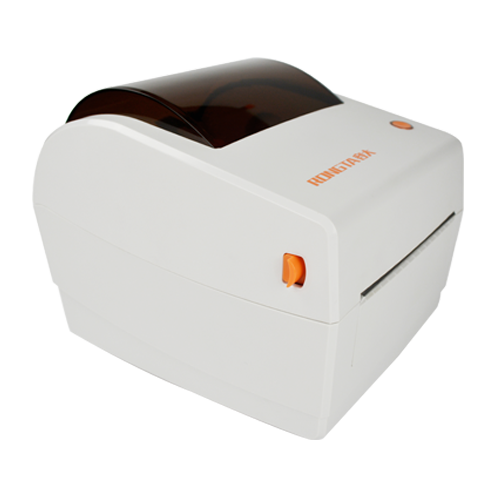 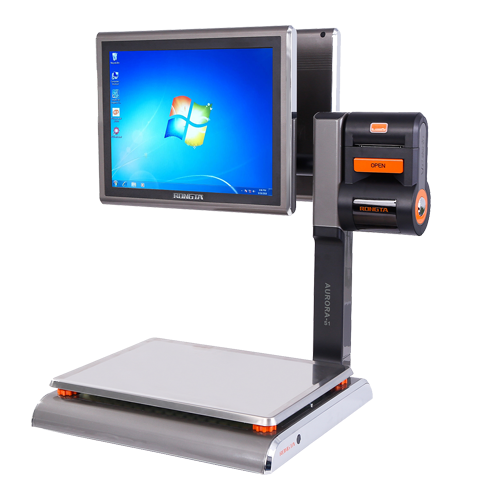 Label Printing Scale RLS1000/RLS1100 highly satisfies the customers’purchase demand with its high cost-effectiveness. 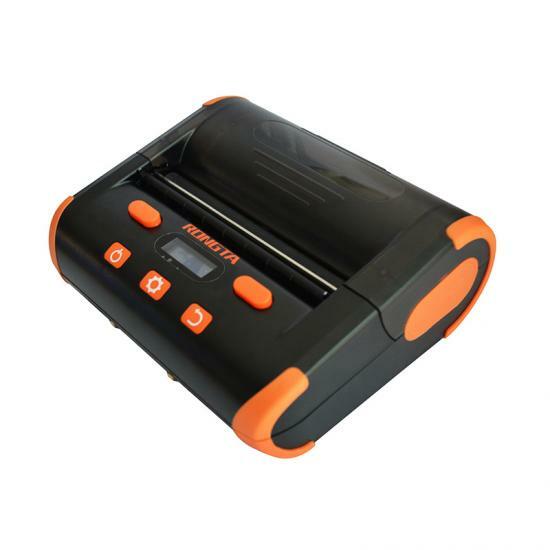 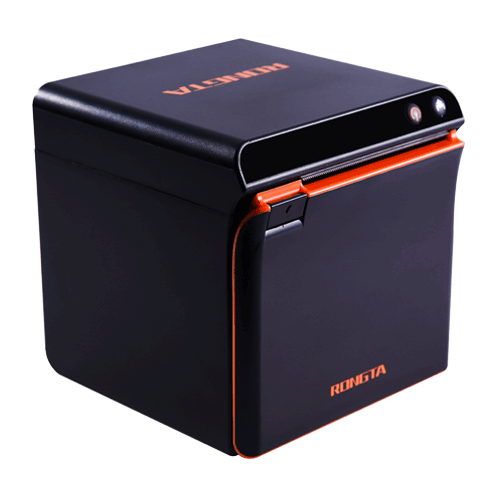 At the same time, our newproduct thermal transfer barcode printer RP400 has won a high attention andrecognition during this fair, many visitors show great interest in it. 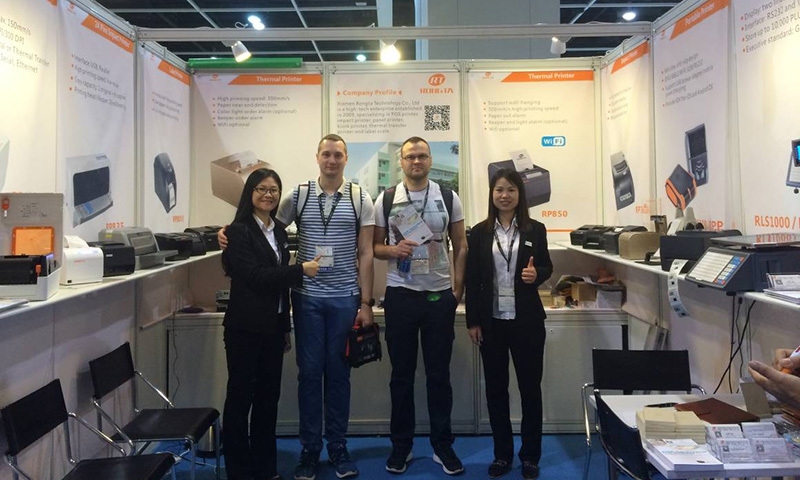 Duringthe exhibition, new and old customers visit our booth in an endless stream. 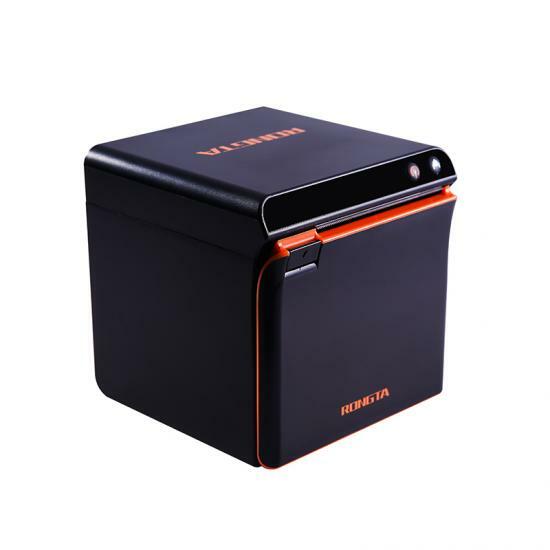 Theexhibition not only gives our company an chance to successfully introduce ourproducts, brand image and culture to the customers,but also providesopportunities for the vast number of new and old customers to share businessinformation. 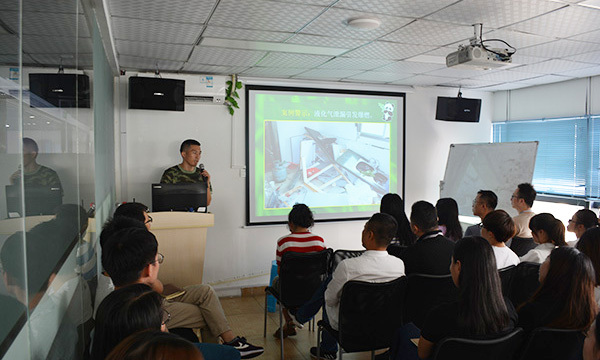 Under the support of exhibition host and the joints efforts of ourparticipants, the exhibition has achieved a great success.